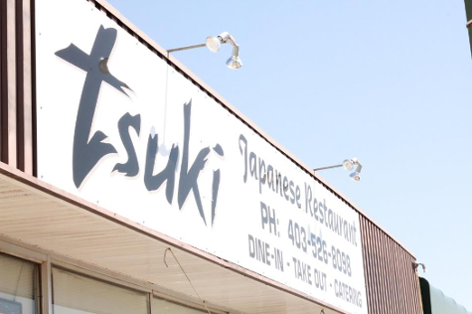 Tsuki opened on April 2, 2012 in Medicine Hat, Alberta, and quickly became a top pick for sushi lovers in the city. The wide variety of menu items, including gluten-free and vegetarian options, has allowed us to garner a great deal of attention from the community. 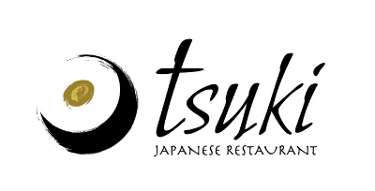 The owner, John, used to live in Vancouver, which many people claim is one of the best places in the world to have sushi. 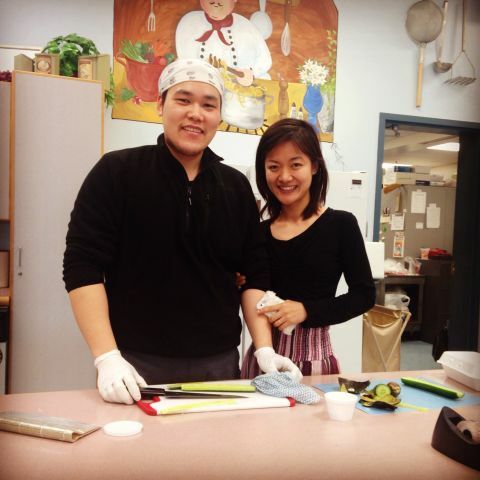 By bringing his experience with high-quality sushi to the restaurant, John has been able to create what our customers have called	the "best sushi restaurant east of Vancouver". Adele (John's wife) is hoping to bring her skill set in nutrition and food service to better meet the needs of our customers. Adele's future projects include adding brown rice sushi as a menu option and calorie counting for our menu items.